Im Krieg Gefallen: Hollow box? Progressing really slowly with EOY's costume and props. I aim to finish the shamisen by end of September. But since today is a holiday, there is no work. Yosh~ So glad. 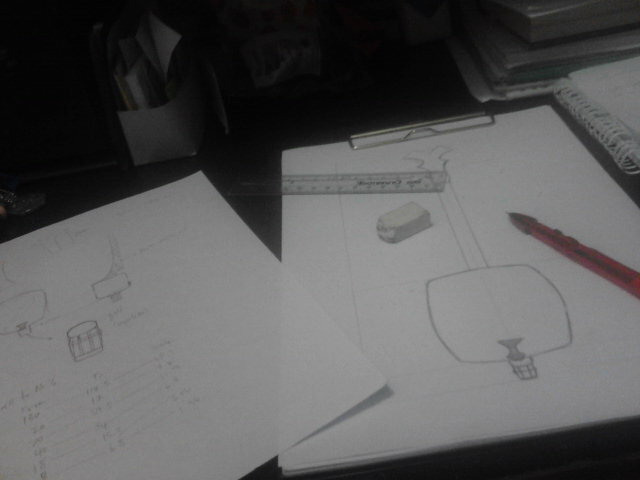 Manage to draft out the proportions for the Shamisen. I admit its fun, but a little confusing. Just the middle of the dO. Will need 3 more of this piece and a long long board to be the side. Then can attach the wooden sao. The challenge is going to be the elaborate head. 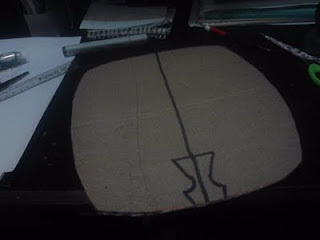 I plan to make the itomaki actually turns. This will facilitate if there are any need to change the strings. Will be most fun and cool if its actually playable.